Tinytag Plus Radio loggers are rugged, weatherproof units designed for use in outdoor, industrial and warehousing applications with a number of monitoring points where manually downloading individual loggers may be impractical. Data is sent using wireless communications via a receiver for viewing in the Tinytag Explorer Connect software: the Tinytag Connect central data management feature enables unlimited users on a LAN to have remote access to the data being recorded in their application. 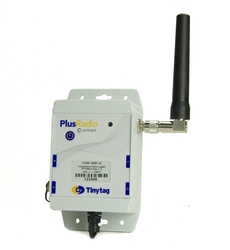 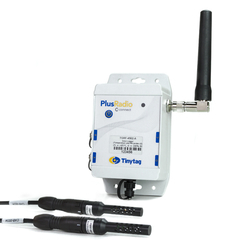 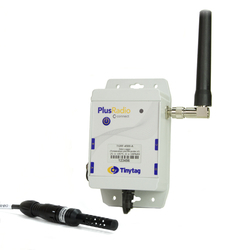 Plus Radio loggers require a receiver, connected to a computer or LAN, and the software, and can be mixed and matched in a system with Tinytag Ultra Radio and LAN loggers. 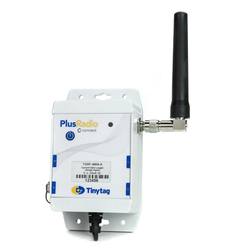 Units in the range record temperature and relative humidity, and also low voltage, current and count inputs, making them ideal for use with third party sensors to record properties such as pressure, flow rates and footfall.